As a modern-day traveler, we all know that your packing strategies have to extend far beyond folding or rolling. Simply having a clear vision for how to pack your undies, jeans, and liquids isn’t enough anymore. You also need to train yourself in the art of cord packing. Truly, your mess of tangles just isn’t cutting it. Not only are you wearing down the cords and decreasing their lifetimes, you look disorganized as you attempt to tackle the knots. 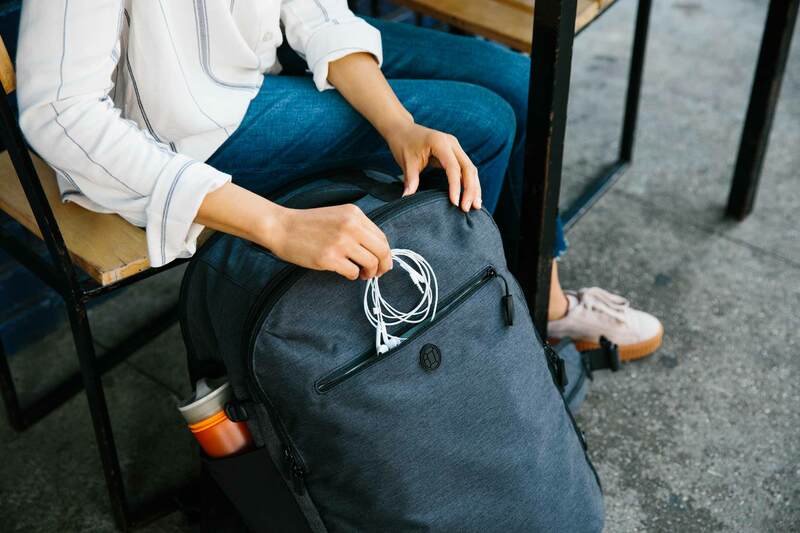 Here’s our best advice on sleek, easy ways to pack cords and cables while traveling—including some amazing cord packing organizers to put you on a straight (and untangled) path. Managing cable clutter while on the go isn’t as hard as it sounds, especially when you follow these tips and tricks. Do you really need to take your smartphone, tablet, laptop, e-reader, hair dryer, and backup headphones for your weekend jaunt to Munich? Probably not. This is an important question to ask before you head out on any trip, for any length of time. Think hard, in advance, about which devices you actually need on your upcoming trip. If you can eliminate one or two from the list, you’ll have less to carry, less to worry about, and less to manage. Consider clear bags. Dumping your entire cord kit out onto the airport floor isn’t winning you any cool points. 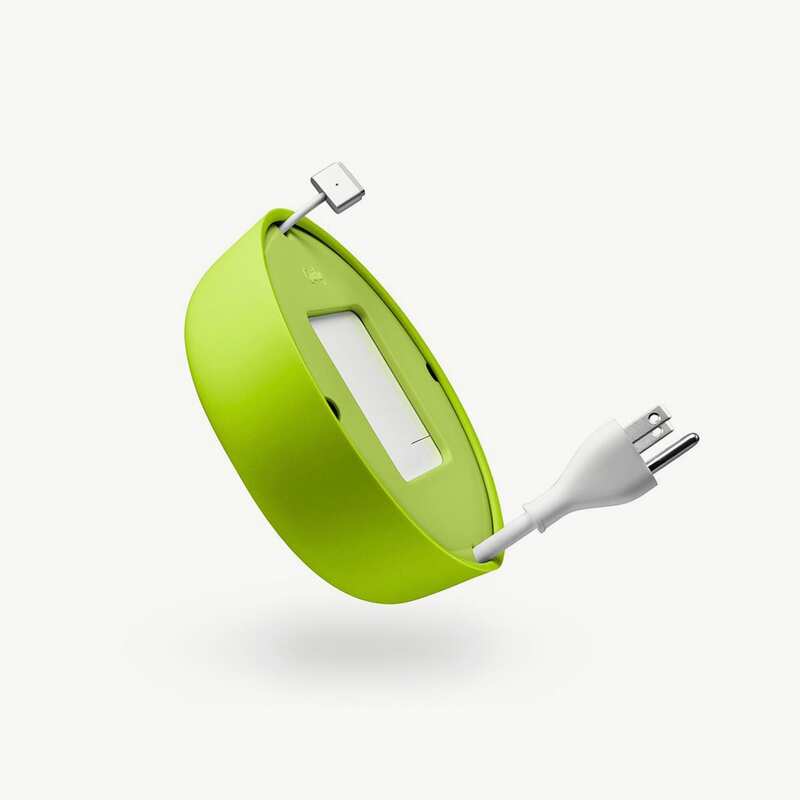 You want to be able to grab the necessary charger quickly and easily. Clear (or mesh) bags can be a great solution. Rather than bringing a charging brick for every individual device, consider investing in a portable single-adapter that has both three-pronged outlets and USB ports. These not only save you space, they come in handy when your hotel room abroad is low on outlets. It might seem silly to have a single-bag cord packing strategy for travel, but it can make your overall logistics a lot easier. Consider wireless headphones; they’re all the rage, anyway! Invest in bluetooth pairing headphones to decrease your knot-pportunities by at least one. Wrap your cables loosely. If you wrap too tightly, you risk damaging the wires from bending them frequently in the same place. The repeated stress can break the wires—sometimes internally, before the plastic coverings crack. The above tips will put you on the right track to effectively organizing your cords and cables for travel. But what if you need a little extra help? Great for packing your Macbook cords. 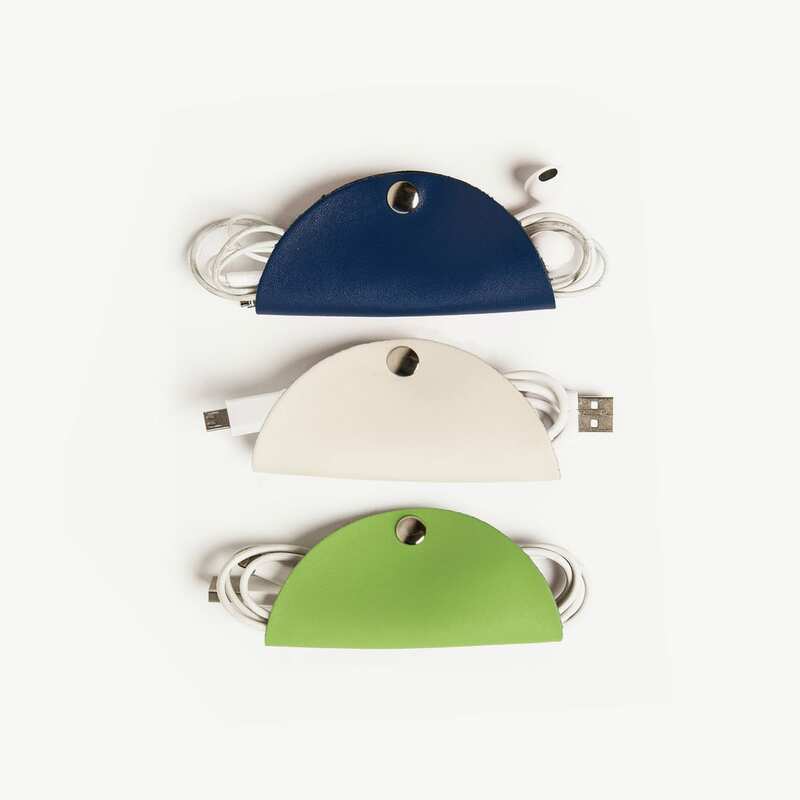 The soft, durable, silicone cover keeps your cords snug as a bug in this laptop cord packing solution. It also protects your power brick, leaving you ample room in your carry on bag for other items. Great for miscellaneous cords and cables. 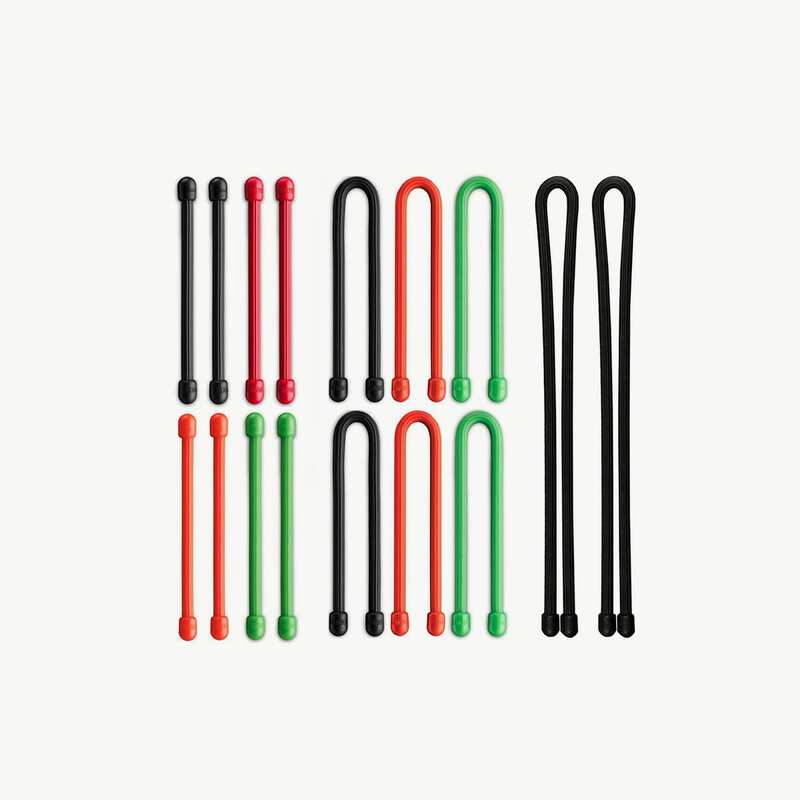 This 16 pack of gear ties will set you up to elegantly pack every cord you’ve got. With ties ranging in size from three inches to 12 inches, these flexible steel wires, with waterproof rubber exteriors, will organize your cords without scratching them. Winning! Good solution for miscellaneous cords. If you haven’t hopped on the cord taco train, now’s your chance. The snap closures on this three pack from Brouk and Co. keep your cords neatly folded and easily tucked away. 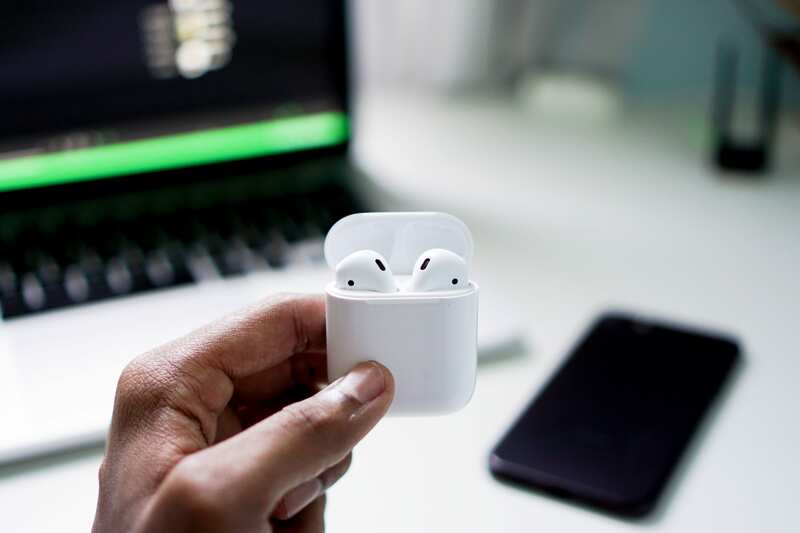 They’re perfect for all your tech accessories and are built to go the distance (thanks to its vegan leather materials!). A budget option with velcro. 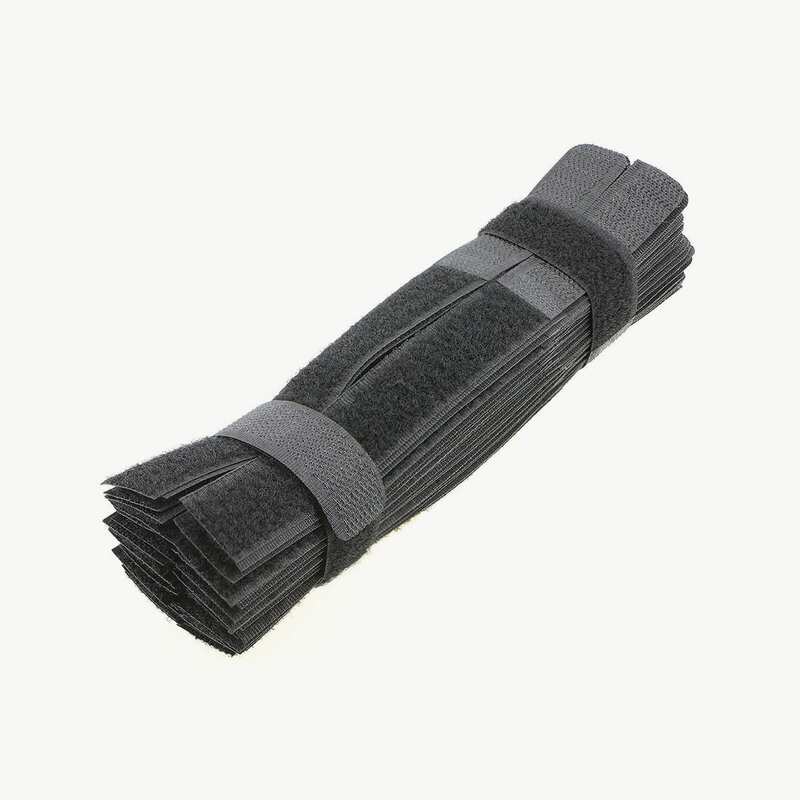 I don’t *love* these velcro ties as they tend to wear out, but since you can purchase 20 at a time, you’ll rarely be in a tight spot with Pasow’s cable ties. The bright colors are a fun option, too! If you don’t travel often, these could be all you need. Single bag solution with clear compartments. 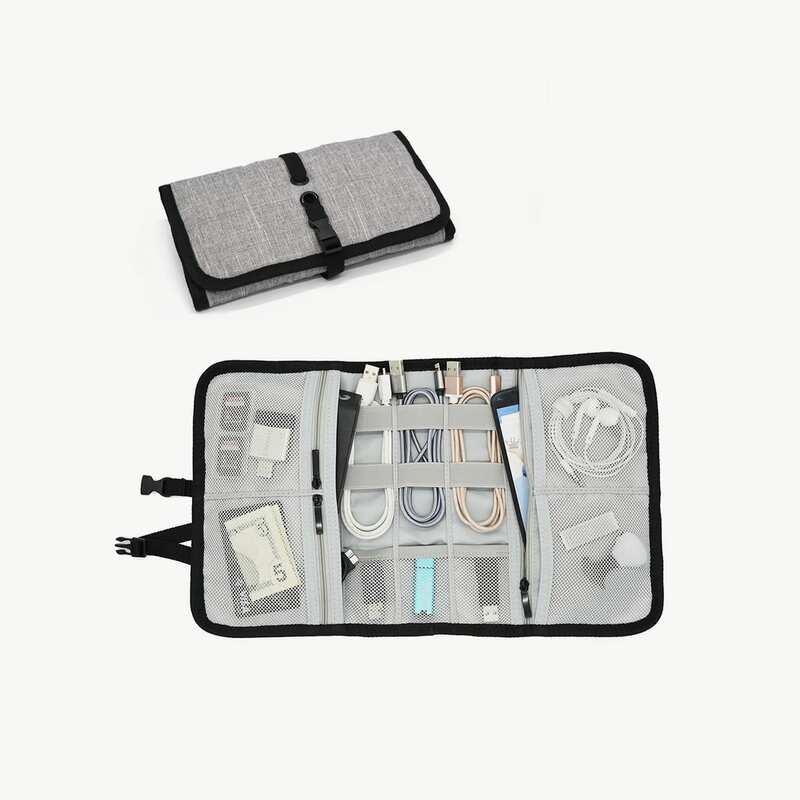 Say, “So long,” to your cord clutter with the help of this organizer case from Patu. 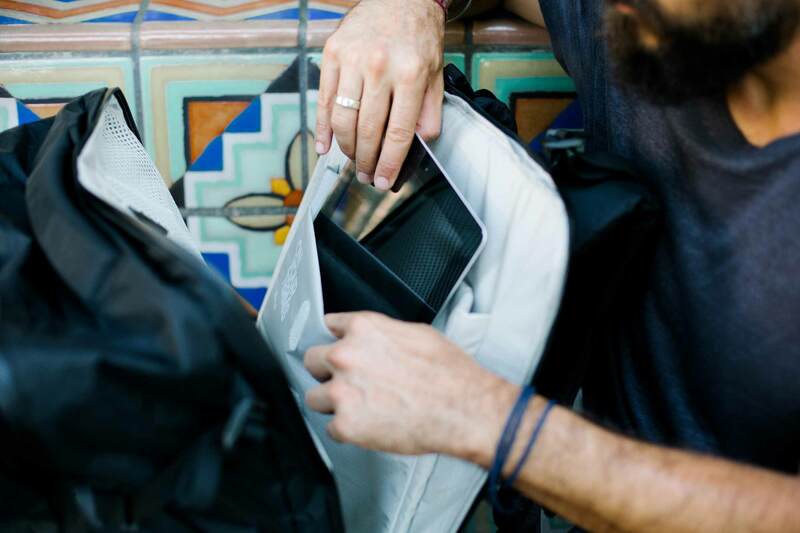 The roll up design makes it easier than ever to squeeze into your travel backpack, and it’s ample compartments means that you won’t feel too guilty for not following our first piece of advice (pack less!). If you have a wireless mouse or can’t leave home without your external battery pack, this double-sided organizer has the space to hold it all. 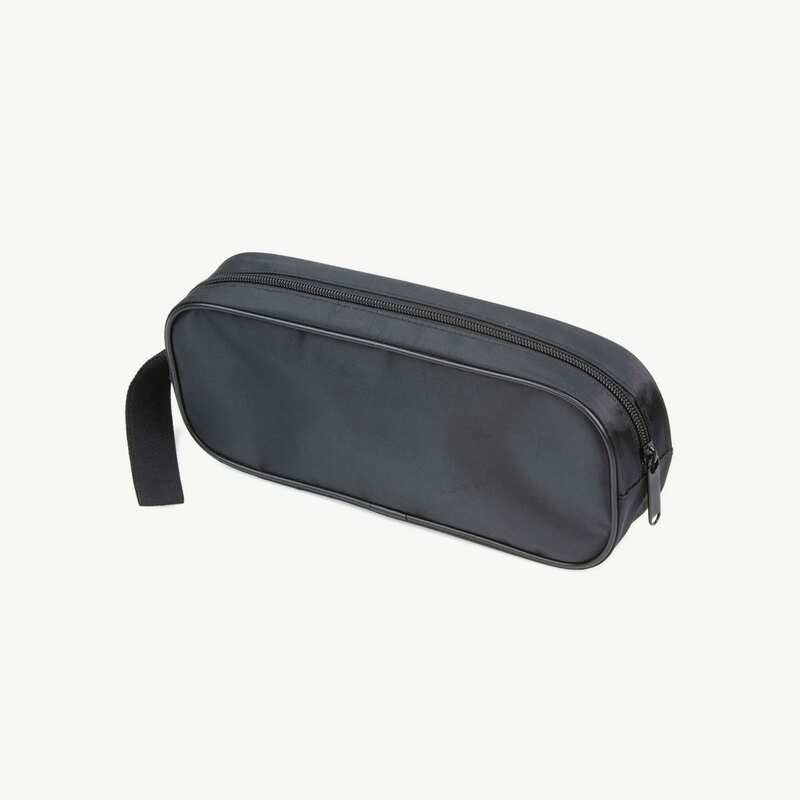 It’s waterproof and comes with a handle, making it easy to switch it from your travel bag to your day bag. 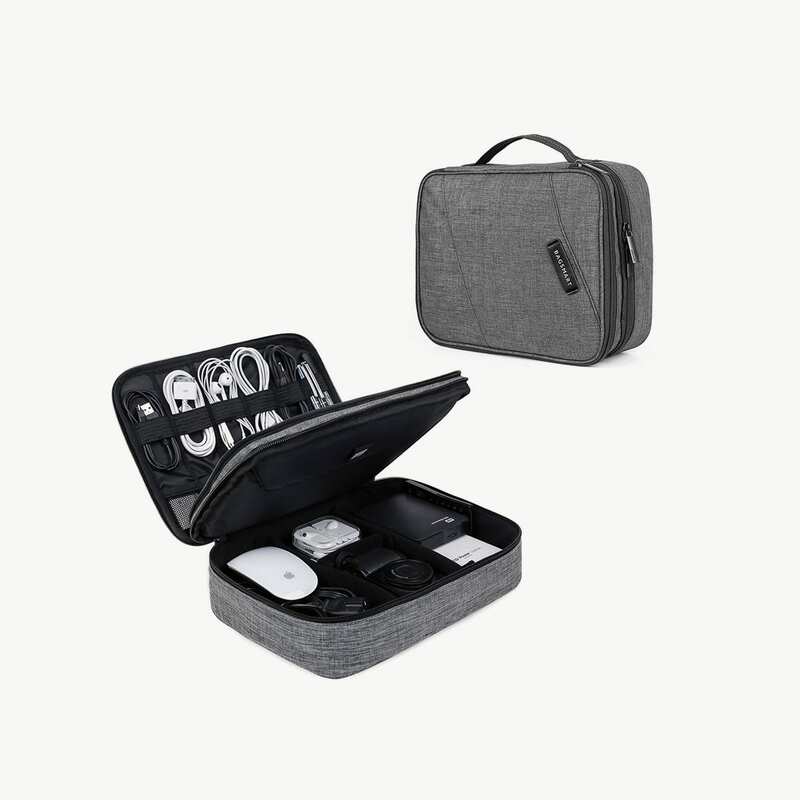 This versatile travel organizer can fit your bulkiest cords and wires, and still leave room to squeeze in your GPS watch charger or a backup set of headphones. Leave your nest of cords and cables behind. Develop an organizational strategy and invest in a cords and cables organizer. You’ll no longer look like a hot mess at airport security or when digging in your pack at your new favorite coffee shop.